Summer vacations are hardest on pet parents – since it’s not always feasible (or advisable) to be able to take your pets with you while you travel. To set your mind at ease, we’ve shortlisted these 7 pet boarding facilities for you to choose from. This way, both you and your fur-baby can enjoy your summer holidays without stress! 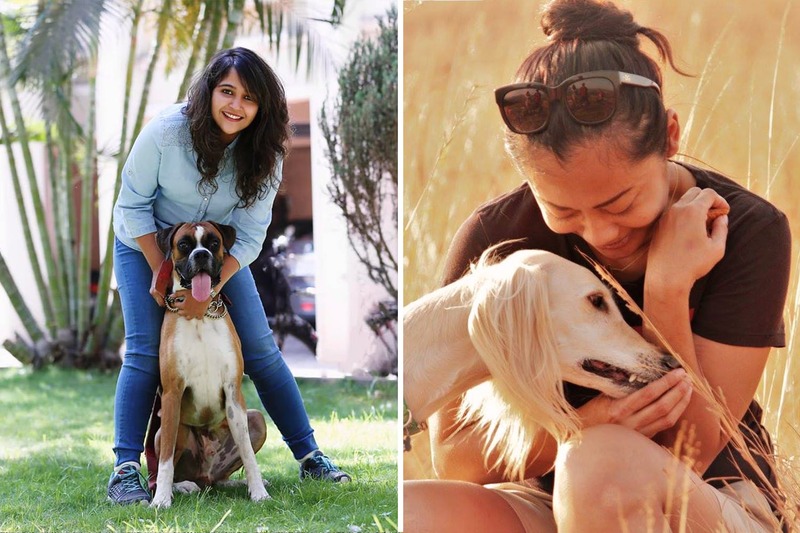 Joella’s Dog Care is a home-stay for dogs, started and run by Manasvi Chudasama (and her family) since November 2013. A certified dog trainer herself, she was mentored by Mr. Shailesh Omkar (of Dhanu’s Kennel) before branching out on her own, last year. Joella’s Dog Care accepts both short and long-duration stays, and tariff ranges between INR 900 – 1500 per day in summers (since some dogs require an AC), and INR 600 – 1100 in the off-season. This home-stay accommodation is more comfortable for dogs, and ideal for those aged 4-5 years and older, as well as for smaller dog breeds (pug, shih-tzu, etc.). Manasvi says they prefer to keep senior dogs, but they do accept younger dogs aged 1-3 years old too. At Joella’s Dog Care, your dog will receive 24/7 care and attention – and most importantly, they will have a routine. Their diet and exercise routine will be kept the same as it usually is, and they’ll receive a bath every 15-20 days. In case of an emergency, Manasvi will even ensure that they’ll be taken to your dog’s preferred vet. If you and your dog require any professional training or behavioral therapy, Manasvi can help you out with that as well. Muddy Paws was started in July 2017 by Nitesh and Shivangi Khare. They provide two kinds of accommodation – a home-stay (which fits around 5-6 dogs), and kennel boarding facility (15-17 spacious cubicle kennels). Muddy Paws’ maximum stay limit is capped at 15-20 days; tariff for the home-stay is INR 600, and around INR 500 at the kennel boarding facility. Dogs have a lot more freedom to roam around in the home-stay, as they’ll be off the leash within the house and the garden (under supervision, of course). Kennel boarders will also have enough play-time during the day, with custom-tailored activities, and games at Muddy Paws’ indoor park (also under expert supervision). Your dog’s regular dietary plan will be followed, and special or extra meals can be arranged at extra cost. Muddy Paws also guarantees 24/7 veterinary support (with weekly vet visits), and even Pet Insurance. They even offer music therapy for dogs, Skype sessions with pet parents, add-on grooming services (on prior notice, at extra cost), the option for Express Arrivals, and even a Pet Taxi pick-up and drop-off service. PetSitters was started in March 2008 by Shalaka Mundada (a certified dog trainer and behaviorist) and her father, Satish Hulyalkar. They now have 42 individual kennels, which are fully protected from the elements, with proper ventilation, and even their own attached terraces for your dog to unwind in. If your pet is a first-time boarder, you can request a trial visit or stay (usually for one day). Tariff ranges from INR 600 – 1000 per day, depending on the size and breed of dog, and the duration of stay. PetSitters will stick to your dog’s normal routine with regards to their meal timings, and meal plans – as filled out in a detailed form by you at the time of lodging. There are 5 distinct play areas for your dog to enjoy during their time here – including an off-leash running space, a swimming pool, and an agility course. In case of emergency, your dog’s regular vet will be contacted on a priority basis, but PetSitters is also going to have their own in-house vet and clinic by June 15. Your fur-baby will be groomed daily (brushing, paw cleaning, checking for ticks and fleas) and dogs staying longer than 5 days will receive a bath as part of the package. Maxwell International Pet Care was started in 2015, with 16 large and spacious kennels for dogs. They accept both long and short-term boarders, and tariff here starts at INR 700 per day, with provisions for AC rooms are available – at extra cost. Maxwell has strict drop-off and pick-up timings (see here) but you can arrange an appointment, or visit your pet during their scheduled visiting hours. Every individual kennel comes equipped with toys, but your dog is allowed to bring their own favourite toys and bedding, as well. Guest dogs receive two set meals a day, but they will also be given treats and chews between meal-times, to ‘help mental stimulation’. Maxwell stocks a large range of food, and can accommodate any diet that your dog is on (which you’ll provide during admission). Freshly cooked food can be arranged for, at extra cost (if required). The dogs are mostly kept indoors, but will receive minimum one hour of exercise and play – through access to an outdoor play area. They will also be groomed and enjoy lots of human interaction throughout the day. For emergencies, there’s a vet on call. Extra add-on services include grooming therapies (nail cutting, ear cleaning), a hydro-bath, reiki, and canine massage. Unleash is a premium pet boarding retreat, started in 2015 by ex-banker and avid animal lover – Sameer Gokhale. They offer day-care, short stay, and long stay (25+days) boarding for dogs. Tariff starts at around INR 650 – 750 per day, and longer duration boarders can avail a discount. Unleash strives to keep their four-legged guests as comfortable as possible – with nourishing home-cooked food, plenty of exercise (across the 6 play-zones), and a proper routine. There are 24/7 human caretakers to attend to all their needs, as well as 17+ vets on-call. Dogs are socialised together based on their size and temperament, and are free to roam the facility for most of the day, except at mealtimes and during the afternoon (when it’s hottest). During the summer, fans and coolers as well as a paddle pool are available to keep your dog cool; and any special dietary requirements can be accommodated (on prior notification). A pick-up and drop facility is also available on request, at additional charge. The Pawsh (formerly ‘The Paws Pack’ was started in March 2007 by founders Tanya Kanetkar Kane and Neha Panchamiya Jangle, as a one-of-a-kind pet centre. They offer day-care and boarding for almost every kind of pet – from Guinea pigs and rabbits, to cats and dogs, in private suites at their pet resort. Tariff starts at around INR 500 for cats and INR 600 for dogs per day, and monthly socialization and play session packages are available as well. The Pawsh also has their own swimming pool and canine hydrotherapy set-up (India’s first). Even non-boarder dogs can access their swimming pool to cool off – on prior booking, only. Pet parents can avail extra services like puppy school (3-5 months), obedience training, grooming (from INR 700 onwards), nutritional assistance/consultation, and diet-specific home-made, natural food for your pets, which can be delivered to your doorstep. Their sister organization RESQ Charitable Trust also has a veterinary clinic on the premises, and ‘offers permanent discounts to pet owners who have adopted Indian breeds’. Keep an eye out for their special pet-centric events and parties, which they update on their social media channels. Happy Trails is a dog boarding facility, started by professional canine trainer and behavioral therapist – Meera Thosar in October 2011. This facility offers day-care, over-night, and long-duration accommodation for both cats and dogs. There are separate sections for cats (indoor) and dogs (semi-outdoor/outdoor) to enjoy a comfy, safe, hygeinic stay at Happy Tails. An outdoor pool is available for the dogs to swim in. Tariff starts at around INR 450 – 1500 per day, depending on the size, breed, age, and requirements of each individual pet (such as – an AC). We found their website extremely informative and reassuring, so give it a read if you’re looking to make some changes to yours or your pet’s lifestyle. If all the above options don’t work out, have a look at WoofBnB – a sort of AirBnB service for pets (more on them here). Also check out ‘Pune’s first fresh food delivery service for pets’ here, these all-natural shampoos and cosmetics for pets here, and this cool new dog-centric store in Kalyani Nagar that stocks dog beer, pup-cakes, and more here.